Cheap food in Singapore is easy to find! There are too many choices when it comes to Singapore food! 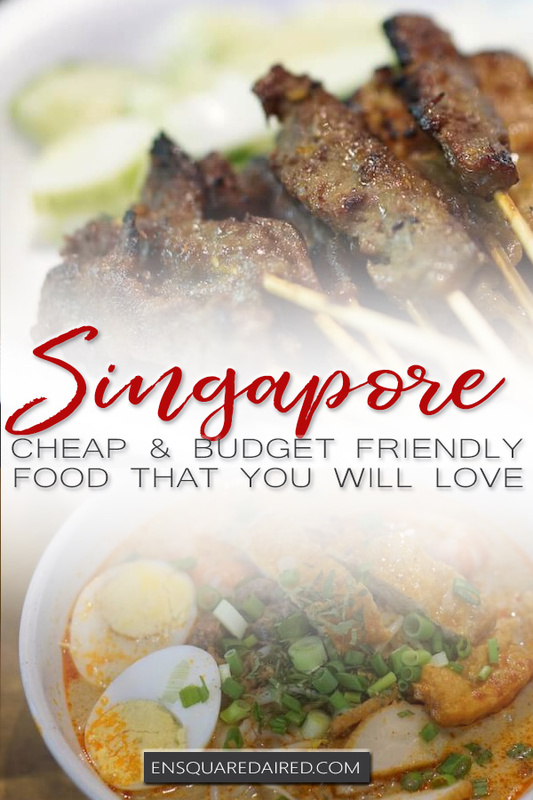 When I was planning my trip to Singapore, I kept reading about how Singapore is so expensive and that there is no way I’ll be able to find delicious and cheap food in Singapore. But once I landed there, I realized how possible it is to eat well in Singapore without breaking the bank. Seriously, don’t expect to lose any weight if you’re visiting this country. I think Singaporeans are one of the luckiest people in the world because of the diversity of their food. What’s interesting about the cuisine is that the food has strong influences from Chinese, Malay and Indian culture. But of course, it’s no surprise that Singapore is on the higher end in terms of when it comes to travelling, especially in Asia. 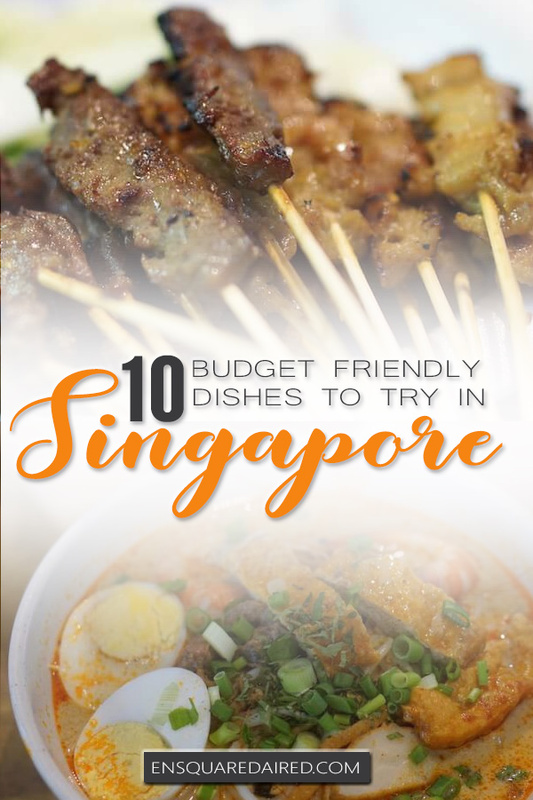 But if you spend your money wisely and know where to find good food in Singapore, you don’t need to break the bank just to eat well during your trip! 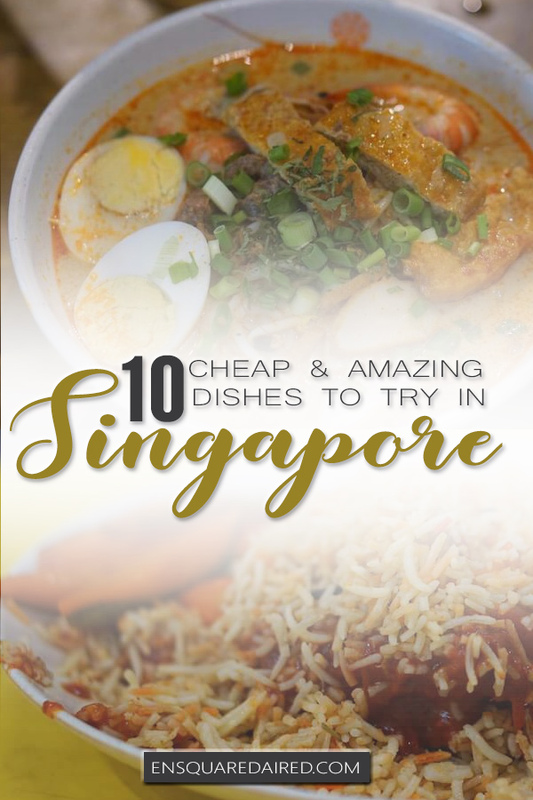 Here’s a list of top 10 best cheap food options to try if you visit Singapore. Additionally, I listed the prices for you so that you can get an idea of how much it costs to eat in Singapore. 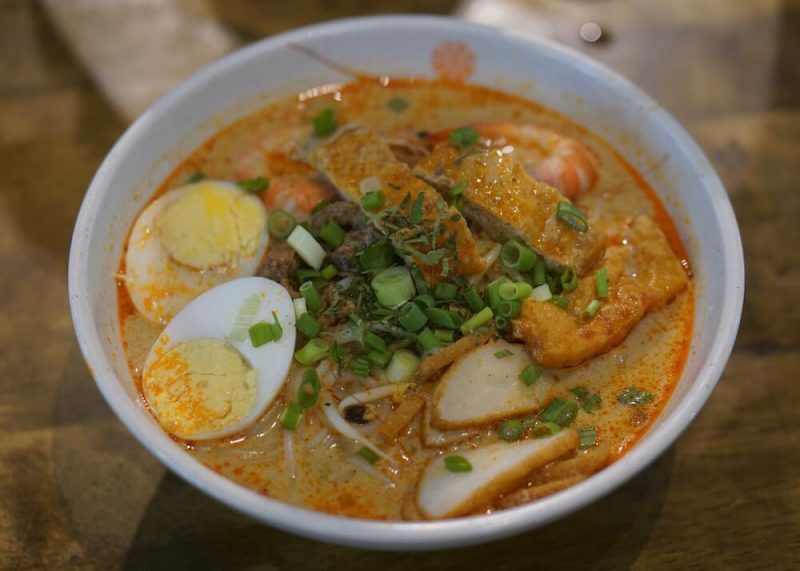 Laksa is a cross between Chinese and Malay cuisine and has rice noodles in spicy coconut curry soup. 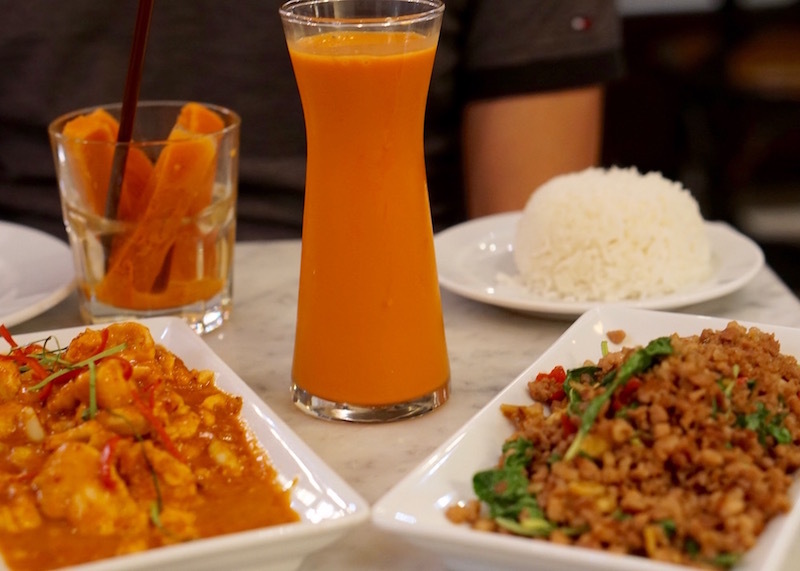 The dish includes a variety of ingredients, such as shrimp, fish cakes, egg, tofu and chicken meat. This dish is a must-try for those who love curry based soups. 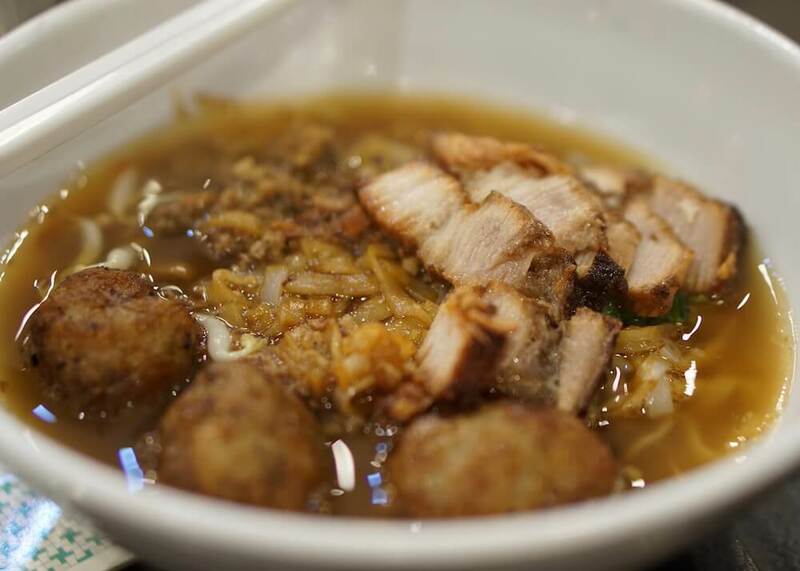 No, scratch that – this dish is a must try period if you’re in Singapore. 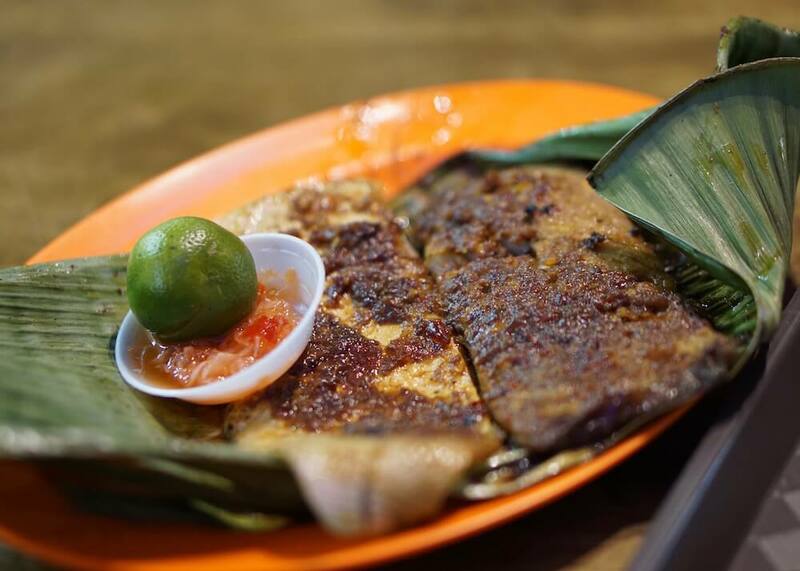 Barbecue stingray is a favourite seafood dish that is in most hawker stalls. 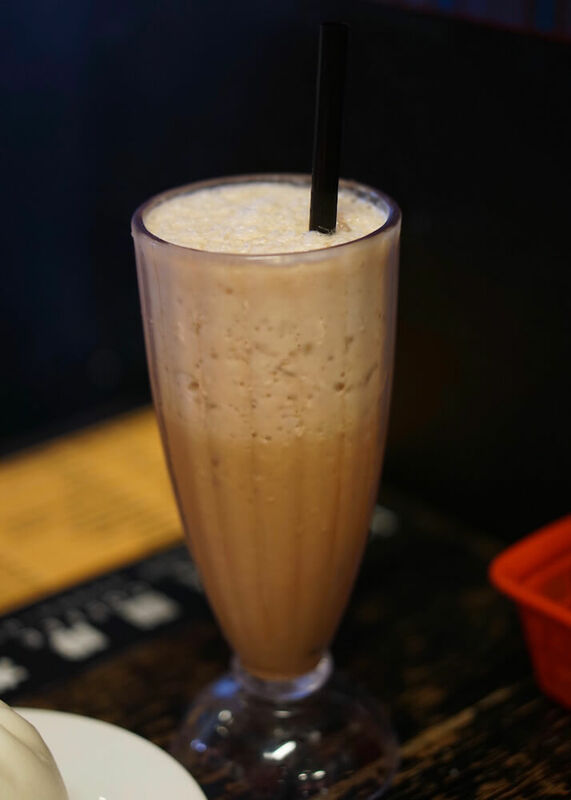 This recipe originates from Malaysia and is growing in popularity among the Singaporeans. Stingray texture is like fish, and the barbecue gives a smoky fragrance to it. No Hawker stall is complete without Indian food. 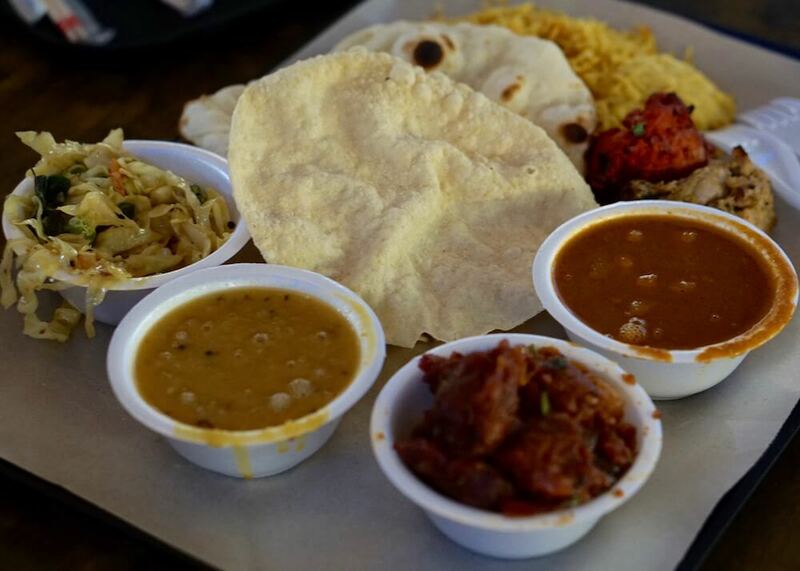 The best part about Indian food at Hawker stalls are the sampler platters because you can try many curries, meat and side dishes. Beware, it’s super filling; I struggled to finish half of this meal. Nasi briyani is a Malay variation of the traditional Indian rice-based dish. The rice includes yogurt, garlic, onions, spices and comes with meat or vegetable curry. 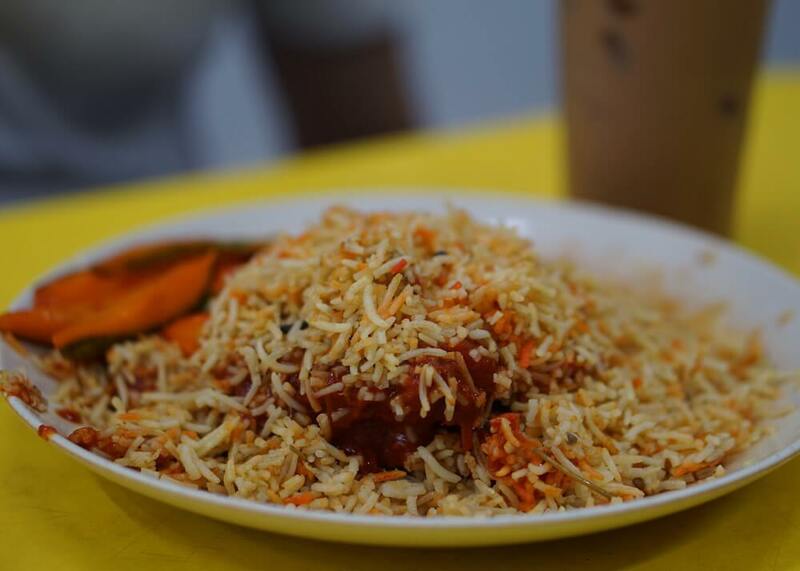 Every place you visit in Singapore will have a unique version of nasi briyani. Satay is popular in Singapore, particularly in the Lau Pa Sat hawker center. 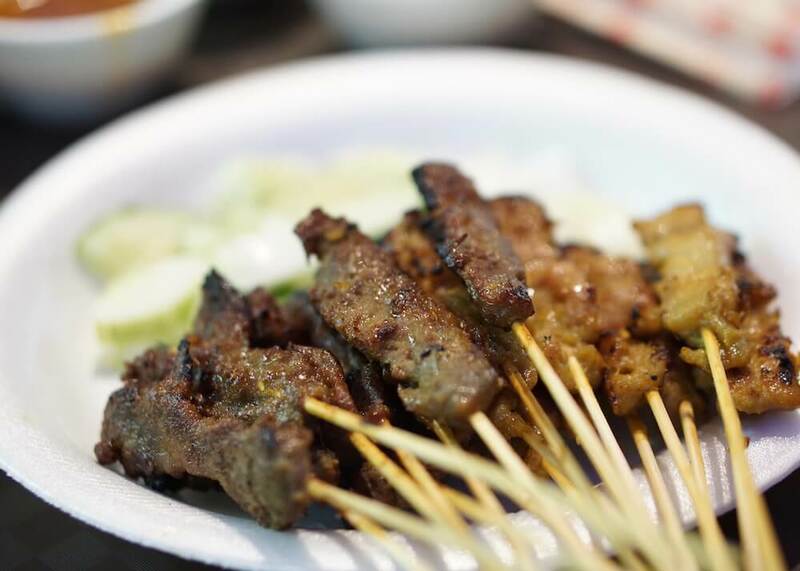 Most satay stalls serve skewers of chicken, lamb, beef or pork. The street dining experience starts at sunset, where crowds of people fill the place. I was not expecting much more than a typical noodle soup dish since this dish is common in Chinese cuisine. 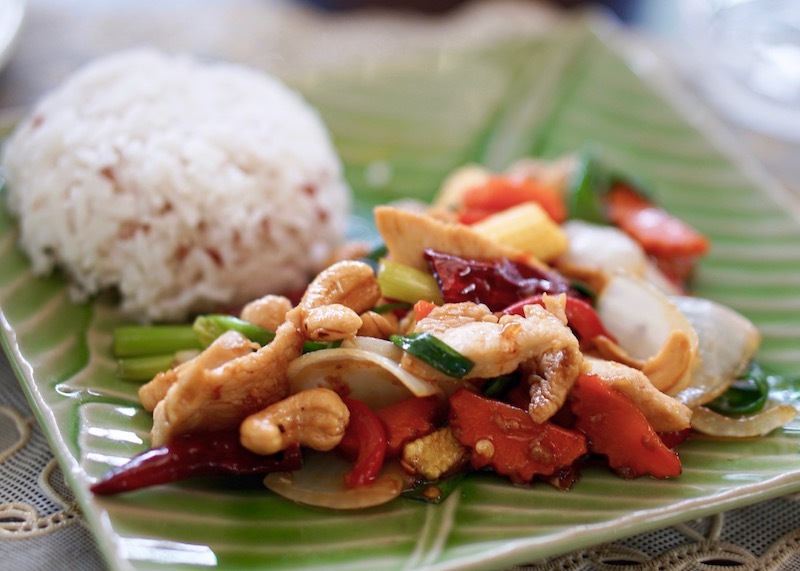 This simple looking dish from Ipoh Loh Yau has many distinctive flavors thanks to the fresh ingredients. The flat noodles are essential to making this dish so yummy; they come from Ipoh and use natural spring water from that region. While I am not a water expert, I think hor fun has a smooth texture and is quite different from any noodle I have ever had. Kaya toast is a must try if you want to have breakfast like a Singaporean. The toasted bread has butter and kaya, a jam made from sugar, eggs, and coconut milk. 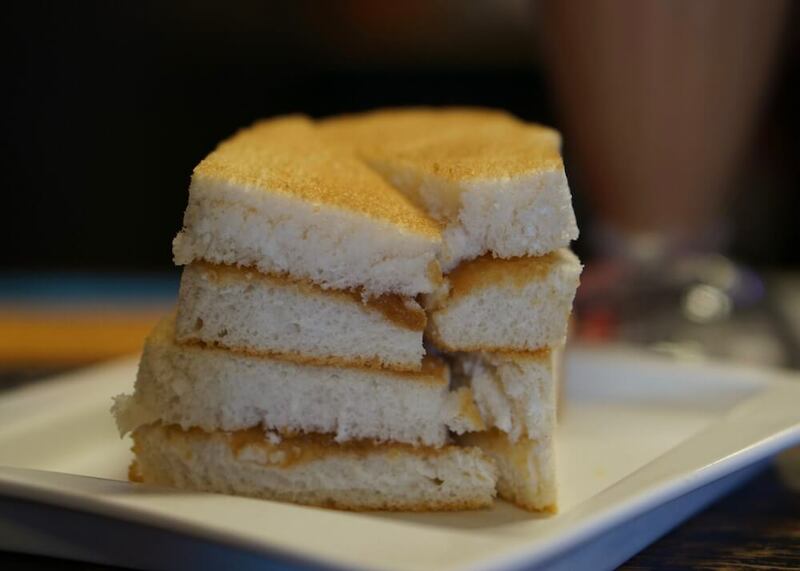 Some places serve kaya toast with soft-boiled egg and soy sauce. If you want to order coffee, just replace Teh with Kopi. Just remember, if you’re going to Singapore and you’re a coffee/tea addict, bring a cheat sheet so you can correctly order your drink. 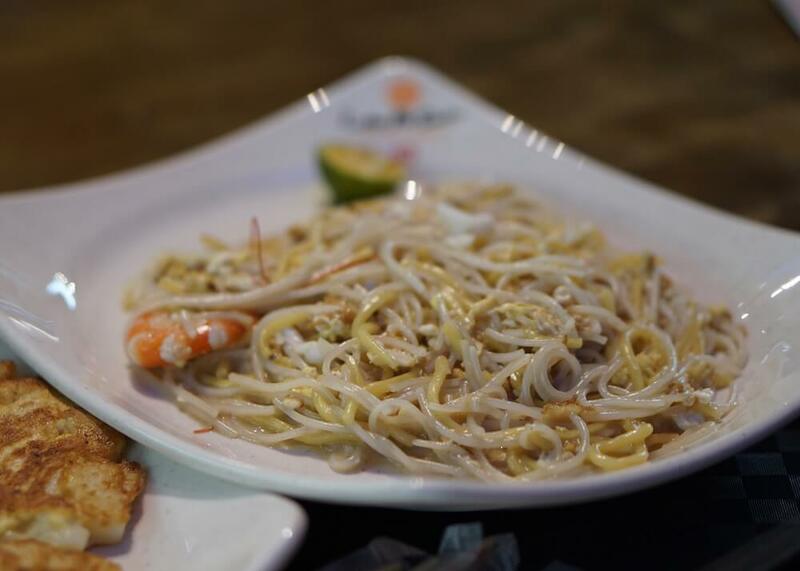 Hokkien mee is a stir-fried noodle dish made with stock that is steeped in pork bones and shrimp heads. 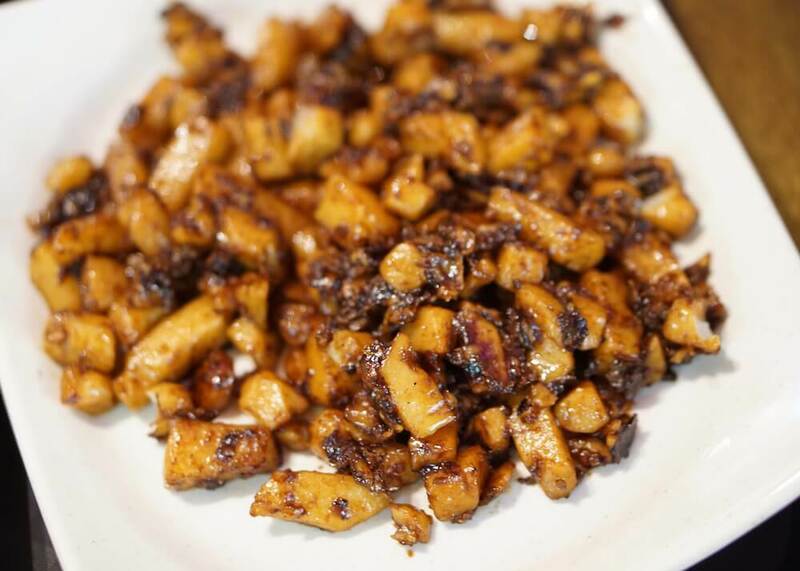 Variations of this dish include wet and dry types and sometimes has squid and chunks of lard. Chai Tow Kway is a typical dish in the Teochew (Gaginang!) cuisine in China, Malaysia, Singapore, and Taiwan. 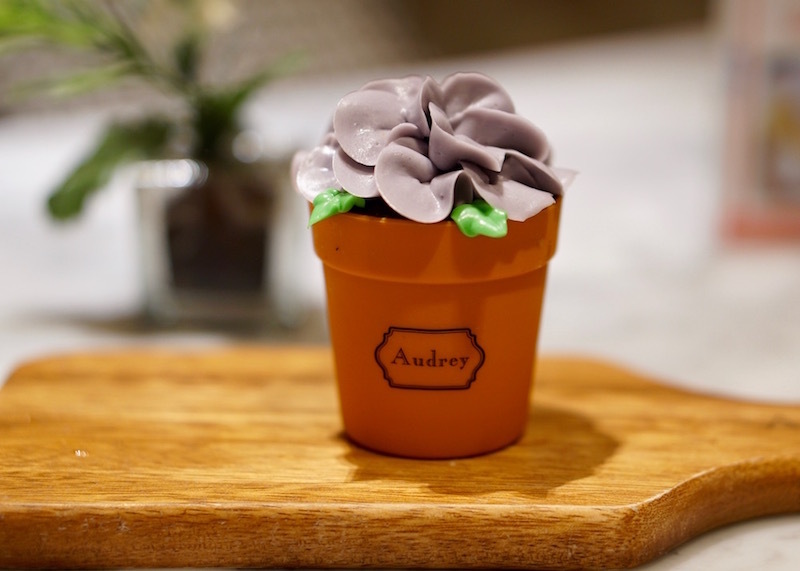 The dish is not sweet and is not made from the types of carrots that North Americans envision when they think of carrots. Rather, the main ingredient in this dish is cubes of radish and eggs. This dish has two variations called the black carrot cake and the white carrot cake. If you’re familiar with Singapore food, you will notice that I am missing a few other famous Singaporean dishes. 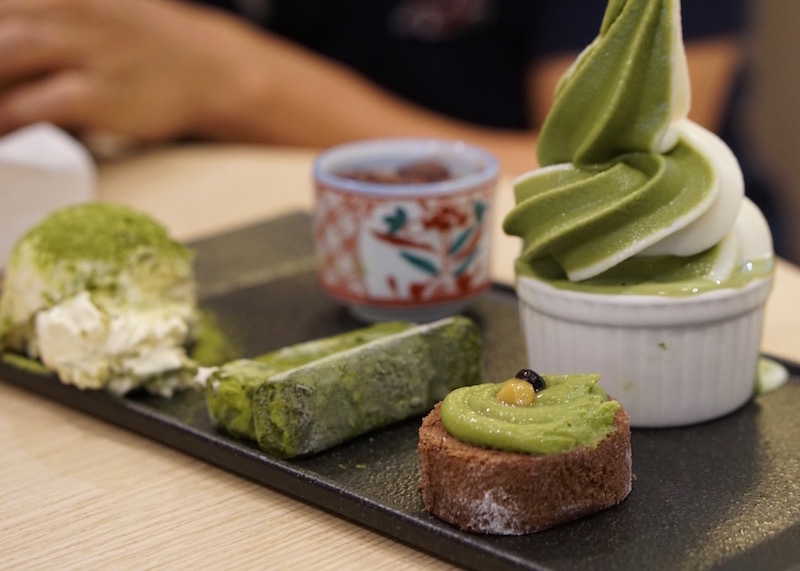 Four days is not enough to experience the different tastes and cuisines that Singapore has to offer…but this gives me a good reason to come back. Been reading blogs and articles about Singapore, and most of the articles I’ve read said that visiting this place is expensive until I’ve read your blog. 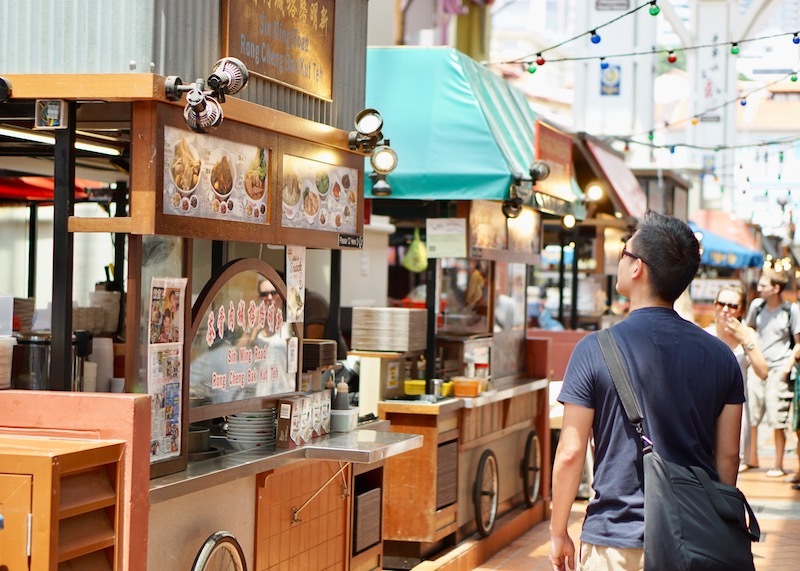 Still there are stalls that offers cheap singaporean cuisines. Thank you for this information, I will keep this for future references. Yes, I read the same and thought it was nice to see that Singapore can be affordable.